As soon as you walk into Hotel Esencia you know you have made it to paradise. Cabanas in the jungle, open to the nature that surrounds it. Hotel Esencia is one with the plant life, the birds, the ocean – the natural surroundings of the terrain. As I walked to the beach, I could feel the salt in the air. 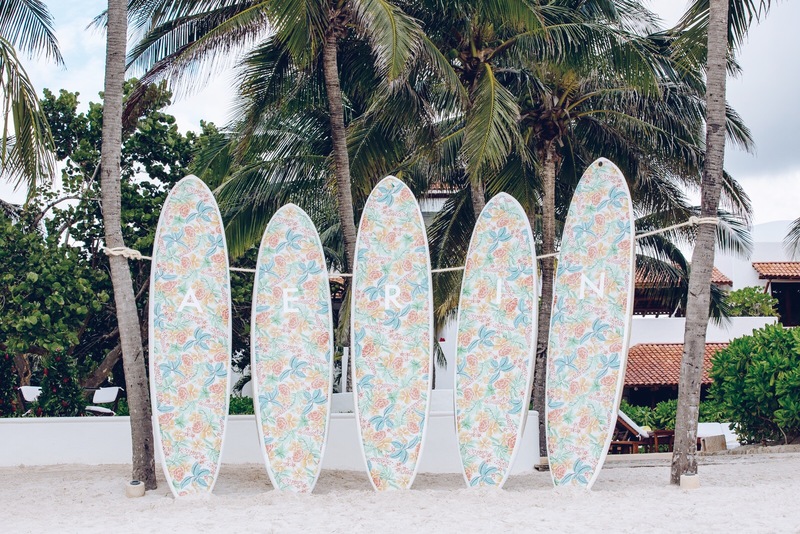 The Hotel Escencia was decorated with Aerin’s name in fresh flowers & surf boards had the perfumes new print on them. 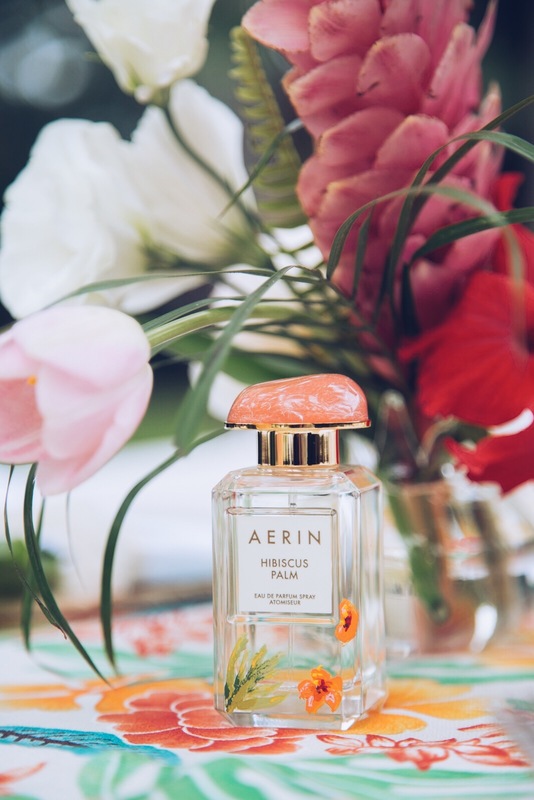 Every detail was celebrating the new Hibiscus Palm, the food was inspired by the notes in its aroma, the space was a celebration of its colors & Aerin was the perfect host. 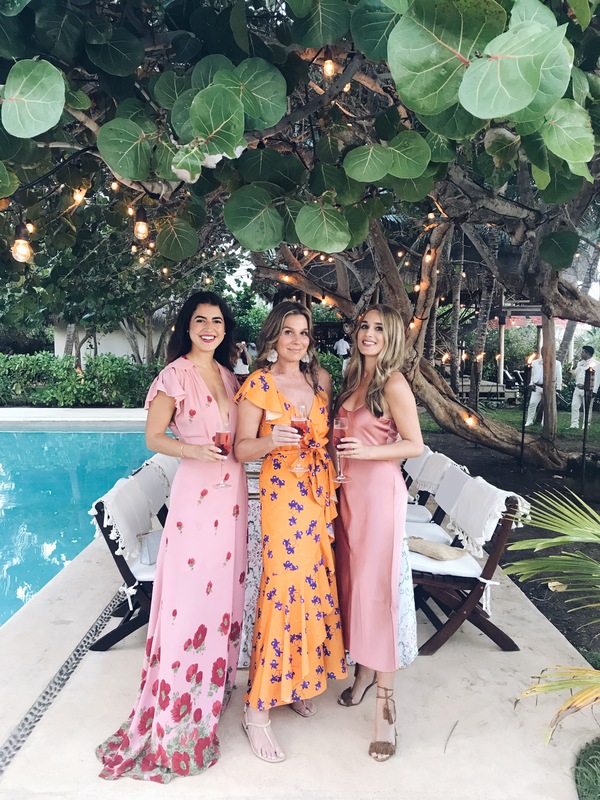 All of the guests were invited to a cocktail hour at sunset by the beach w/ hibiscus infused cocktails. 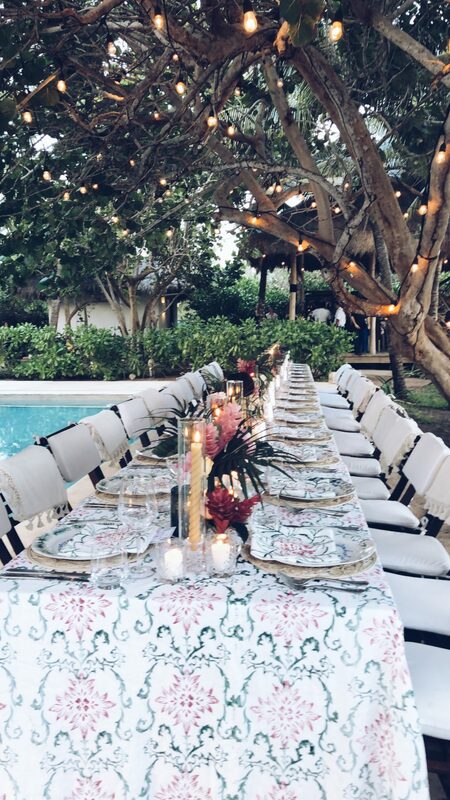 Along side the pool area, a candle lit dinner with flower printed place mats. Personalized plates & gorgeous flower arrangements made the dinner casual but celebratory. 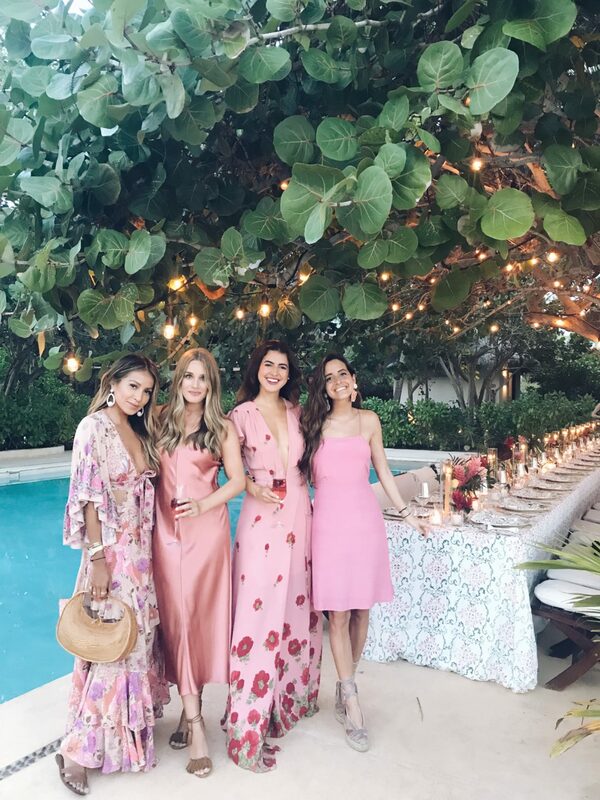 We are women from all over the world getting to know eachother in a familiar setting, we were all invited to dinner at what felt like Aerin Lauders house. Mariachi in the background and a couple of tequilas later, I felt right at home. The next day was morning yoga and a beautiful breakfast by the beach. Fresh fruit, huevos rancheros, a gorgeous menu infusing Peruvian & Japanese flavors designed by one of the worlds most exciting & influential chefs, Dimitri Katrivesis who uses the best ingredients from the Yucatan. Everything you could ever want on vacation was available at all hours of the day, this place is truly heaven. The ceviche & nachos were some of my favorite dishes at the Mistura terrace. 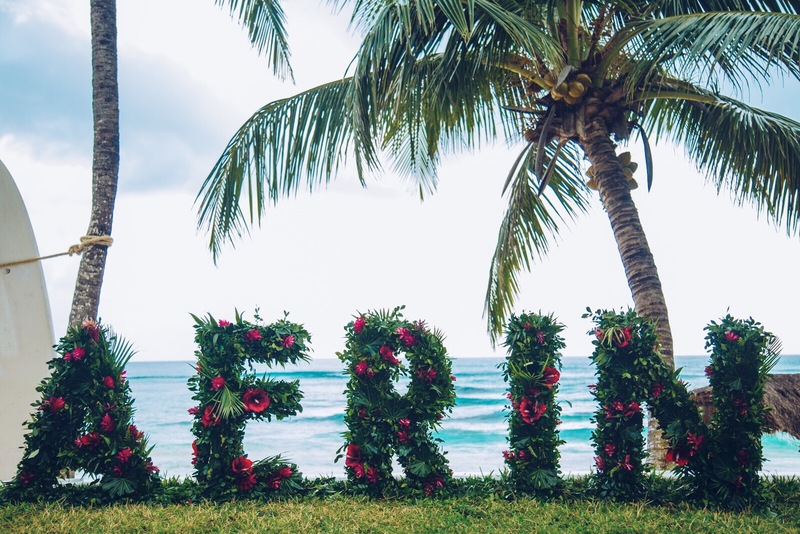 Aerin gave us the day to relax at the beach and enjoy the true essence of “vacation”. In order to make the experience extra, I had a spectacular aromatherapy massage inspired by Hibiscus Palm during the afternoon. 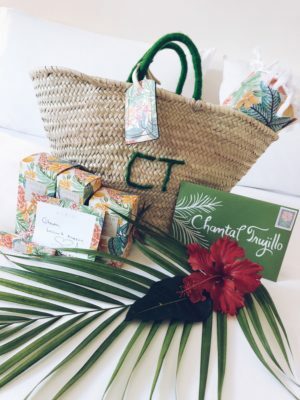 The perfect way to settle into the vacation mood while keeping our minds on the essence of what Hibiscus Palm means. 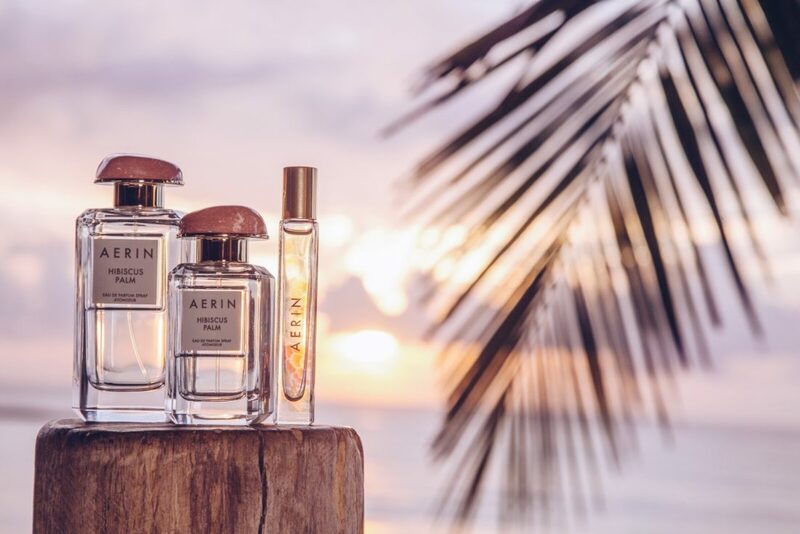 After an afternoon of true relaxation, it was time to get ready for a bonfire cocktail hour & dinner with Aerin. 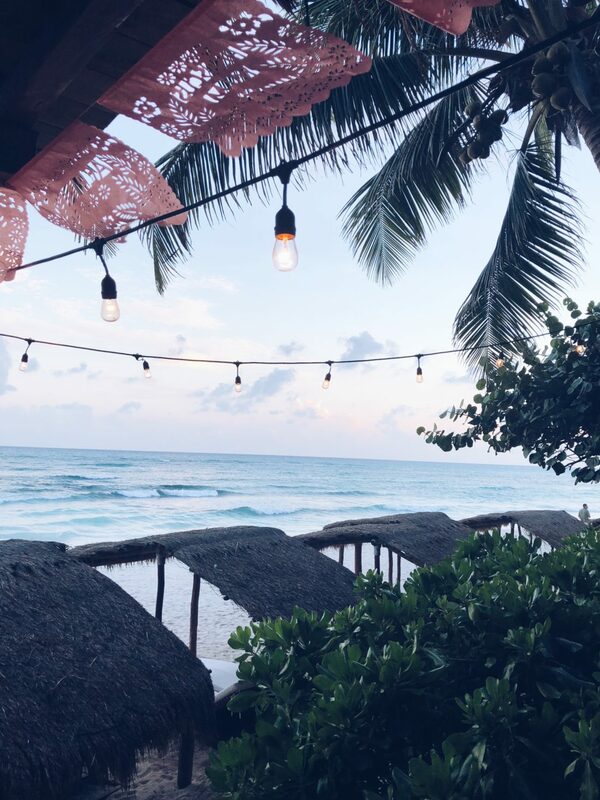 In celebration of being in Mexico, the cocktail hour was the perfect mix of afternoon drinks and lounging on the beach. A piñata in the shape of fresh flowers started all the fun! We all took our turn spinning around and laughing as hard as we could as we missed! 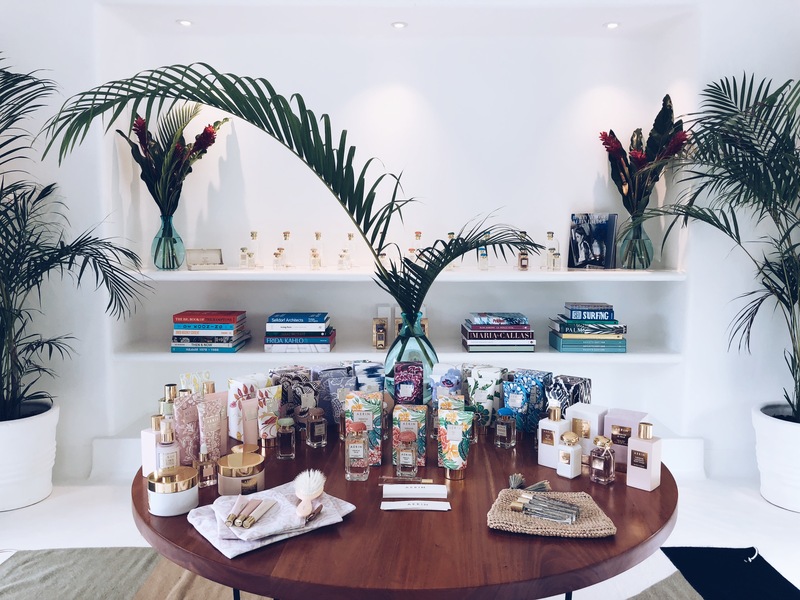 As soon as it burst, we all found ourselves with some of Aerins favorite beauty goodies! It was a wonderful suprise!